At Hally's we serve healthy, Californian-inspired food using organic and ethical produce as much as possible. You will find Monmouth organic coffee, craft beer and carefully chosen, affordable boutique world wine. 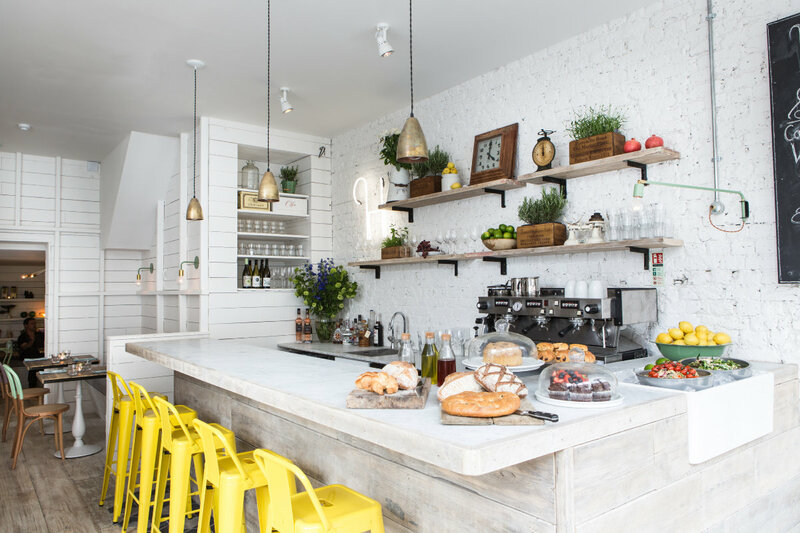 Hally's was opened in June 2013 by Anna Halliday, who wanted to bring simple, innovative food to Parson's Green in a laid-back environment. Inspired by a road trip in California, she realised that the Golden State had got it right: keep ingredients fresh and well sourced, be bold with flavours and add some sunshine! From modest delis in Venice Beach to the haute cuisine of Napa Valley, she realised that California offers something amazing and which isn't seen enough in the UK. Anna left her Advertising job behind her and they decided to set up the restaurant. "Opening Hally's has fulfilled a lifelong dream. Inspired by travel and delicious food, it has been exciting pulling together our experiences and translating them into the Hally's concept and its seasonally changing menu. I'm based at the restaurant and love meeting our customers every day." She spotted the potential in a derelict cocktail bar just off Parsons Green, bought the lease, stripped it out completely and remodeled it like a Californian beach house - complete with reclaimed wood floors, pastel dipped chairs, white clapboarding and neon signage. It gives a fresh, light vibe that can't help but put you in a good mood and makes you want to linger from breakfast to afternoon tea. It's the perfect place to meet friends, and is dog friendly too - Anna's Irish Terrier Arthur is a regular feature by the bar. Together with her chef, Anna searched for the best suppliers to provide high quality farm-to-table produce.